Don Gentry, chairman of the Klamath tribal council. The Klamath Tribes are suing three federal agencies over management of endangered shortnose and Lost River suckers in Upper Klamath Lake. The tribes filed the lawsuit Thursday against the U.S. Fish and Wildlife Service, Bureau of Reclamation and National Marine Fisheries Service, arguing conditions in the lake have led to plummeting fish populations. 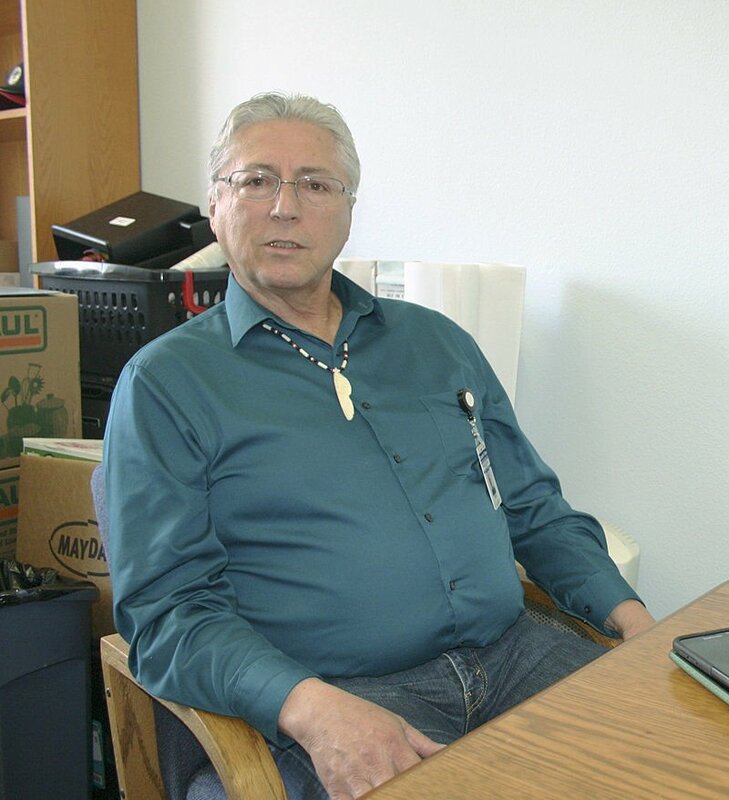 Don Gentry, chairman of the Klamath tribal council, said the suckers are vital to the tribes’ culture and subsistence. However, fish harvests decreased from more than 10,000 to just 687 between 1968 and 1985, prompting the tribes to voluntarily suspend fishing to avoid pushing the species into extinction. Today, just two fish are harvested every year for ceremonial purposes. Both the shortnose and Lost River suckers were listed as endangered in 1988. The fish are managed under a 2013 joint biological opinion that also regulates flows down the Klamath River for coho and chinook salmon, and water for irrigation to the Klamath Project. According to the lawsuit, the Bureau of Reclamation has allowed water level in Upper Klamath Lake to dip below minimum conservation levels for fish on several occasions in violation of the Endangered Species Act. The tribes are asking the court for an immediate injunction both to provide enough water for the sucker fisheries, and correct deficiencies in the 2013 biological opinion. “The science makes it clear that this was the only option left to us to address the water and fish emergency in the lake,” Gentry said. This year is already posing several challenges in the Klamath Basin. Oregon Gov. Kate Brown declared a drought emergency in March, while regulators are also sending more water downstream to keep a parasite known as Ceratonova shasta from infecting juvenile salmon. The bureau still has not announced a water allocation for irrigators in the Klamath Project, which has farmers and ranchers on edge. Mark Buettner, a fish biologist for the Klamath Tribes, said 2018 may very well prove a tipping point for Upper Klamath Lake suckers. Yet Mark Johnson, deputy director for KWUA and a former fisheries biologist for the U.S. Geological Survey, said higher lake levels have not helped to protect sucker fish over the last 25 years. The lawsuit, filed in U.S. District Court for Northern California, outlines conservation levels for suckers in Upper Klamath Lake at different times of the year, taking into account factors such as spawning habitat, water quality and protection from predators. The Klamath Tribes have a responsibility to protect their treaty resources for current members and future generations, Gentry said. “The Klamath Tribes look forward to continuing the valuable work we’re doing in partnership with state and federal officials, ranchers and others toward water quality improvements, water conservation and habitat restoration,” he said.